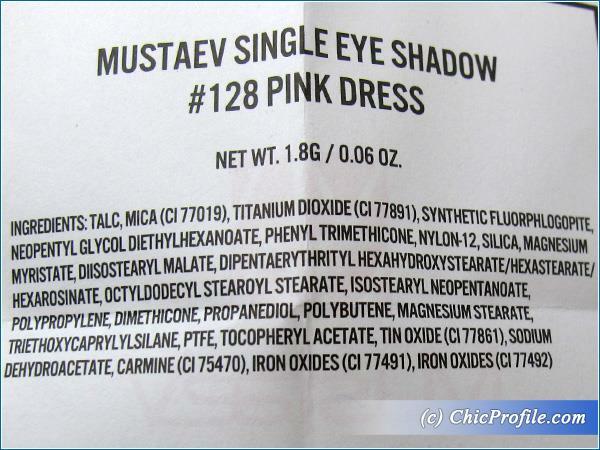 I’m in a pink mood for about two weeks now and MustaeV Pink Dress eyeshadow is one of the shades to “blame”. 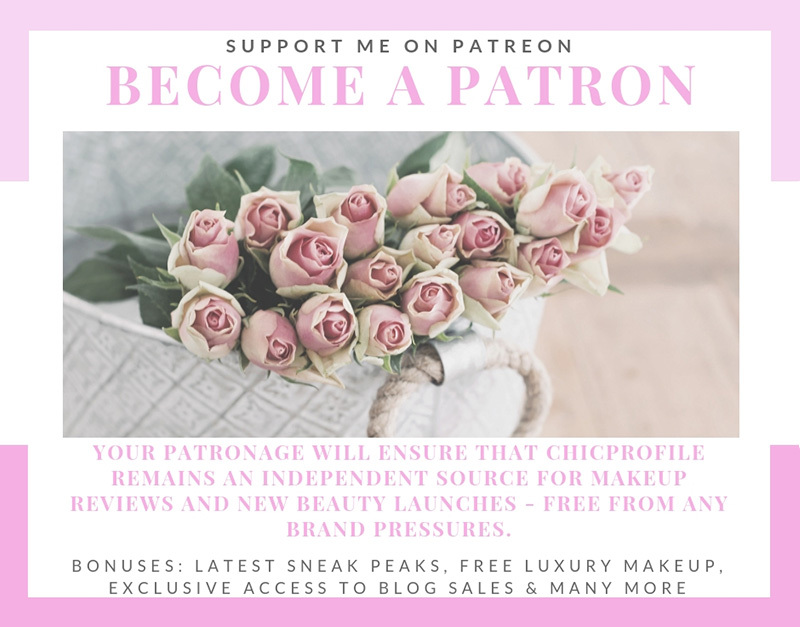 When summer comes I more prone to wear fresh, luminous makeup looks, something that is easy to achieve and softer shades like this one are among my favorites. 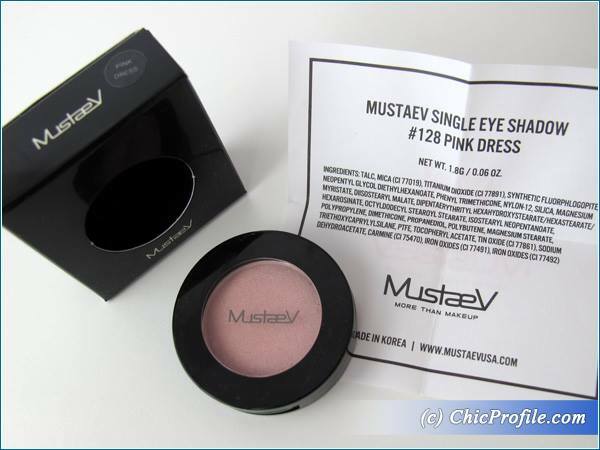 Recently I got a new set of MustaeV makeup products with lots of summer eyeshadows so I’ll be posting a lot of new summer inspired makeup looks using them. 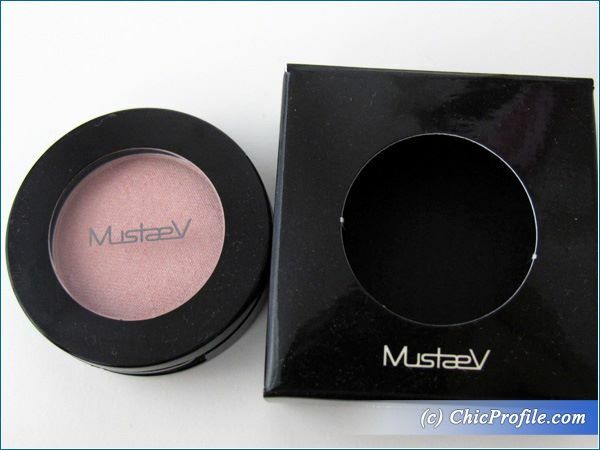 MustaeV Pink Dress Eyeshadow ($13.00 for 1.8 g / 0.06 oz) is officially described as a bright, pastel pink with a lustrous glitter texture that provides a velvety smooth application. 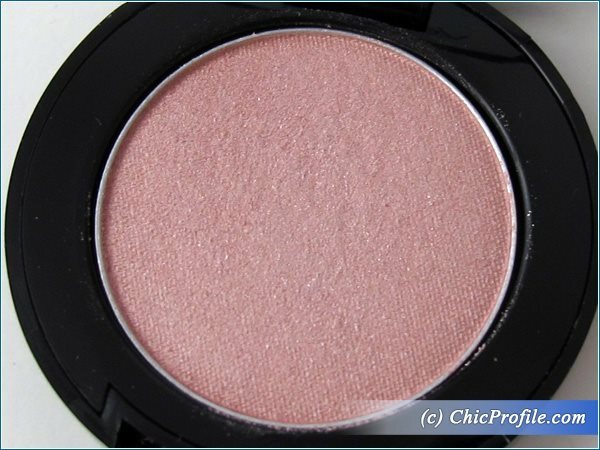 I personally see it as a light sheer to medium pastel pink with slightly peachy undertones, very fine golden shimmering pearl glitters that gives a luminous soft metallic effect. 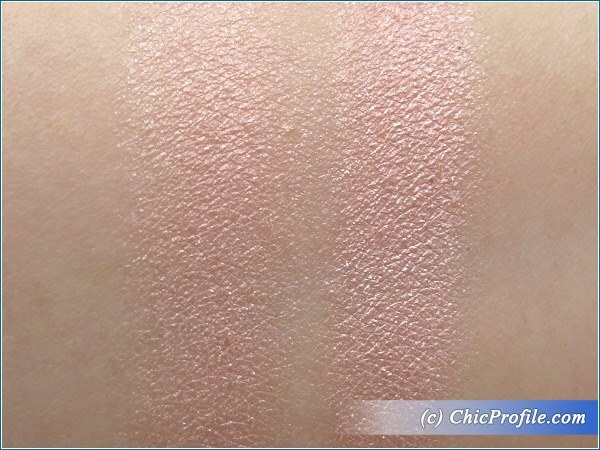 It has a sheer to medium color coverage, as it looks so soft and luminous once applied. 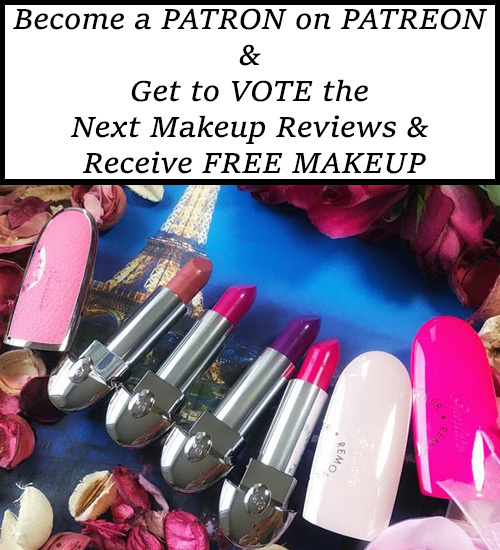 The formula is super soft, velvety almost buttery like, a real pleasure to feel it against your skin. 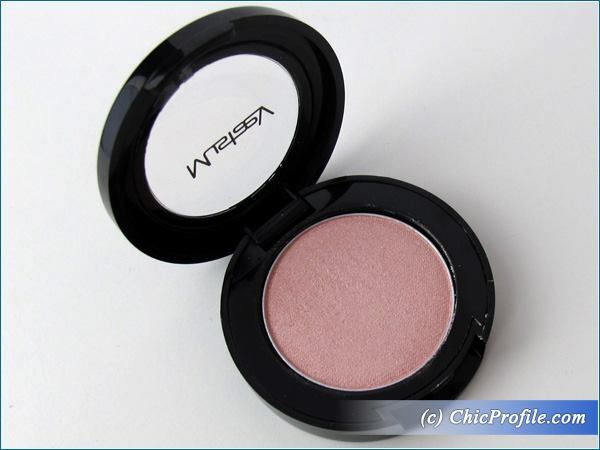 This formula feels lightweight on the skin, it adheres well, has a long-lasting wear. The application is flawless, no creasing, no fading and no fall-out. If you have oily eyelids you will benefit from the sebum control powder that absorbs sebum but also maintains a hydrating, non-drying feel with a long, crease-free wear. 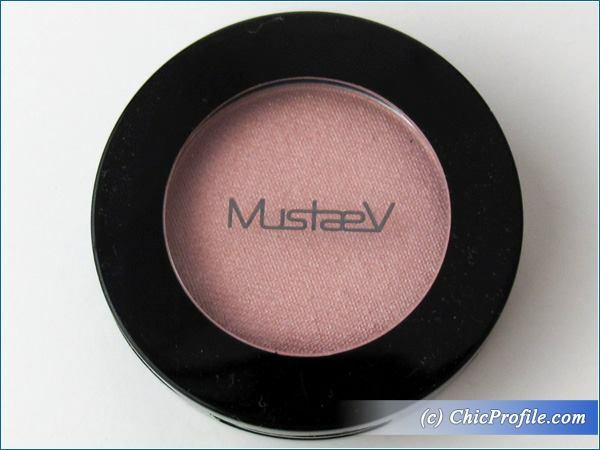 I like to wear MustaeV Pink Dress eyeshadow in combination with other soft shades like I did the other day when I showed you my new MustaeV Lovely Pink Summer Look (tutorial, photos) but also with darker colors like plums, burgundy and browns (upcoming tutorial). 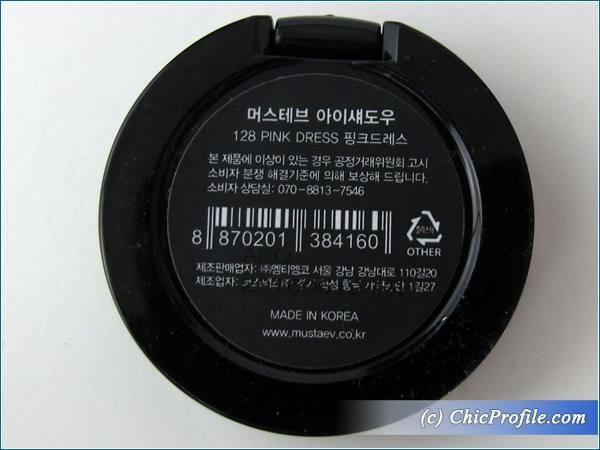 I had more than 8 hours wear with this color without any creasing, fading or fall-out. This shade will complement especially those with light skin but will look just as beautiful and natural on those with medium skin tones, while for those with darker skin will be a fresh and luminous pop of color.